Telescopic action with height adjusting locking bars. 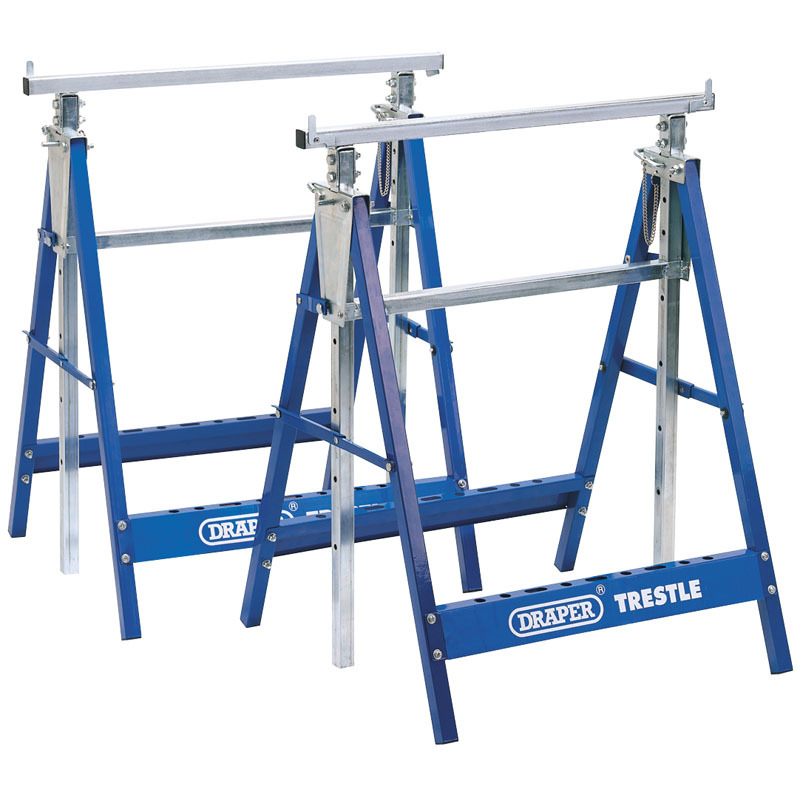 Dual locking safety arms and folding support braces for rigidity when working. Trestles fold down for safe storage. Manufactured from heavy duty box section steel. Maximum loading 150kg evenly distributed. Supplied in kit form with assembly instructions for easy self-assembly.